Put on your dancing shoes and have a bit of fun and take part in a total body workout, combining all elements of fitness – cardio, muscle conditioning, boosted energy, balance and flexibility. What if I'm not coordinated? Doesn't matter! The moves are simple and easy to pick up. 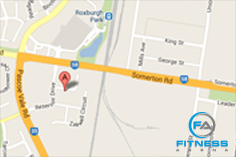 Our trainers will help you find your moves. Definitely! Dancers are some of the top athletes out there. Zumba is a full-body transformation workout. I was very nervous about attending my first Zumba class but absolutely loved it! It's fun, easy to learn and has become something I look forward to attending.